Although drones are limited by factors such as battery life, government regulations and weather from completely replacing helicopters as a way to gather aerial footage, they are often useful for gathering short shots for stories that can benefit from a high perspective. In the United States, special licenses are needed to operate drones for commercial purposes, which typically includes news gathering. Some TV stations opt to hire independent companies that own and operate drones. They will contract with the company when drone footage is needed. In many cases, the stations “brand” the footage gathered with drones with names such as “DroneCam,” though the same drone may not necessarily be used in all cases. Other stations own their own drones and have staffers who are trained and licensed by the FAA to operate the drones. 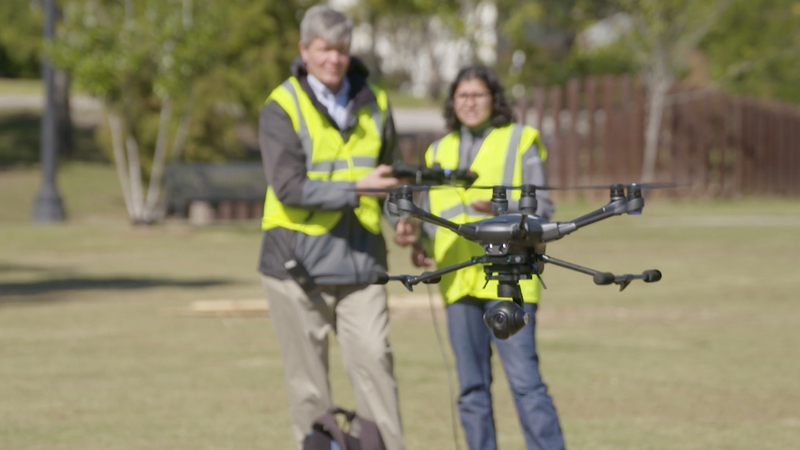 Drones have become a popular option for gathering footage during natural disasters or in foreign countries where they may be little or no regulation and commission an helicopter or small airplane to gather footage is either impractical or cost prohibitive.